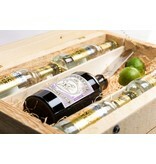 In the Black Forest it has been very common for a long time to make fruit distillate yourself. British diplomat Mongomery Collins settles in Germany in the last century and opens guesthouse The Wild Monkey in the Black Forest. He participates in the tradition itself. 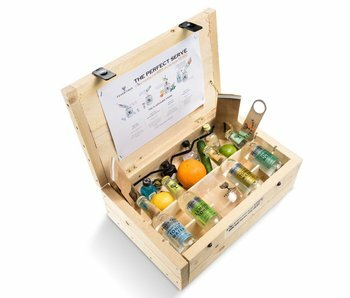 He collects all kinds of botanical ingredients from the Black Forest. He also uses herbs from India. 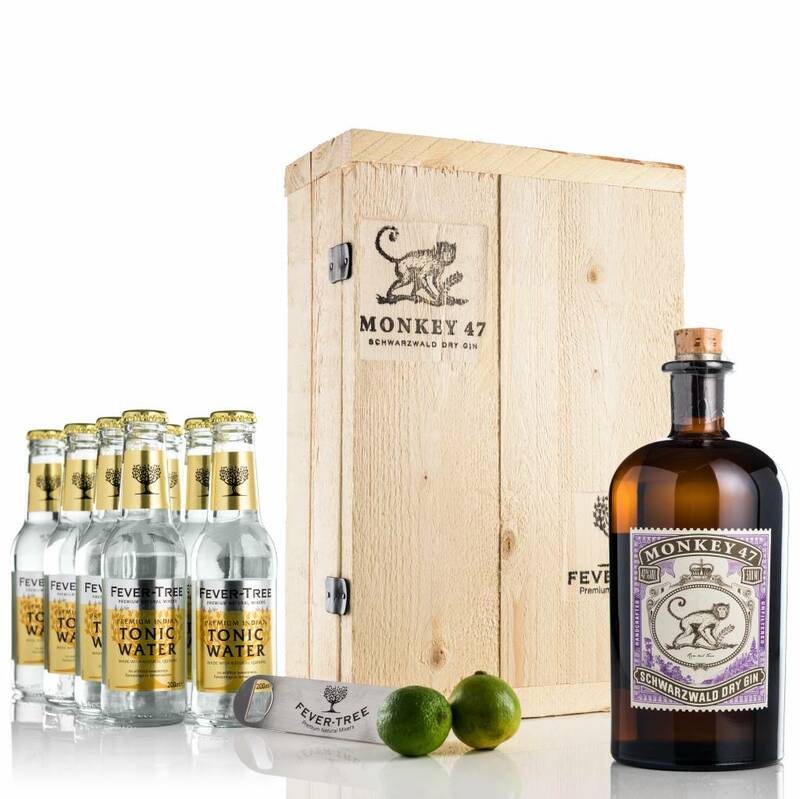 From his brew comes Monkey 47 gin, a gin named after his guesthouse and the amazing number of ingredients. 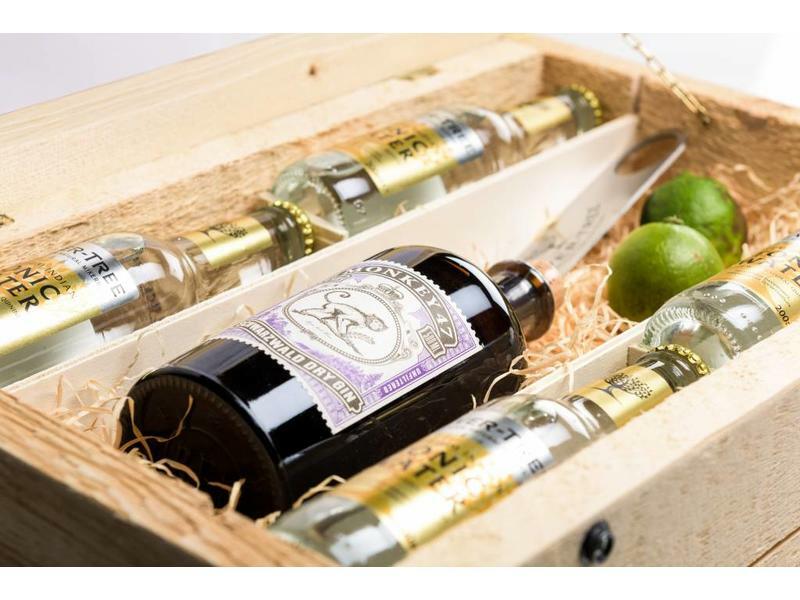 Some of the ingredients were originally collected for medical purposes. 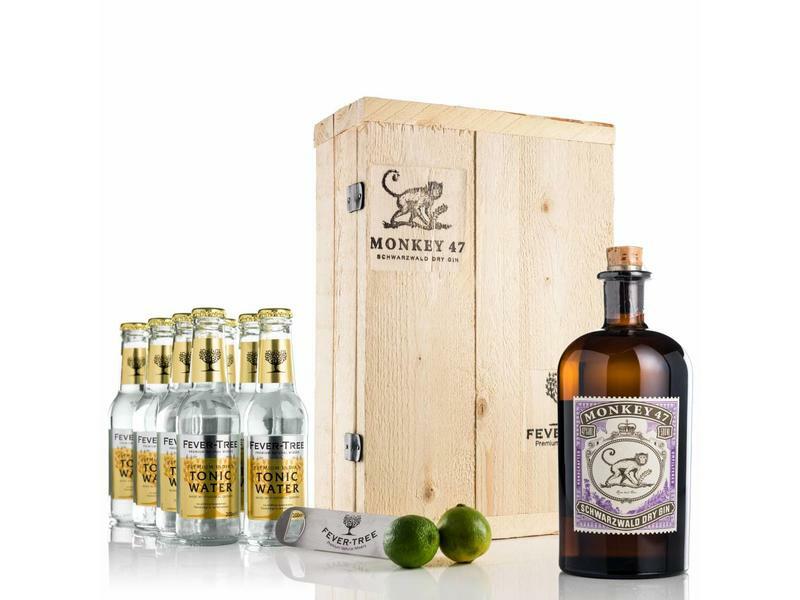 No surprise, therefore, that for the packaging of Monkey 47 gin is chosen for a pharmacy bottle. With an original cork it is exactly a bottle from the rack of the old pharmacies. 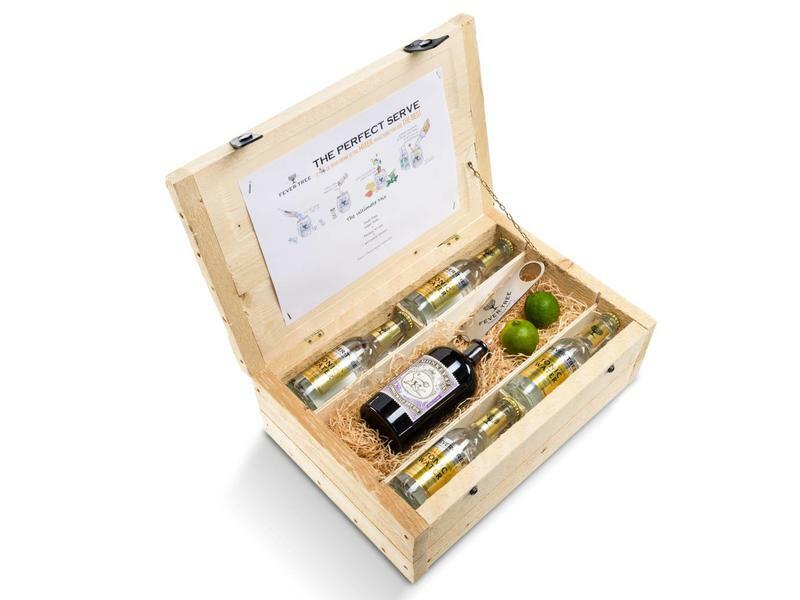 Package Monkey 47 gin also contains eight bottles of Fever Tree Indian tonic and a lime, in addition to the dark brown 0.5 liter bottle Monkey 47 Dry gin. 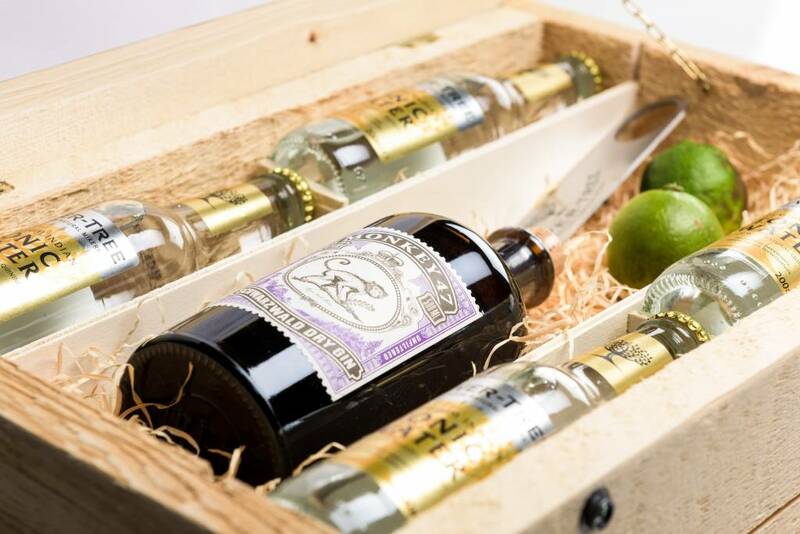 With these ingredients a number of beautiful Monkey 47 gin tonic cocktails can be made. 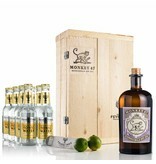 Those who enjoy gin should definitely have drunk a gin tonic Monkey. 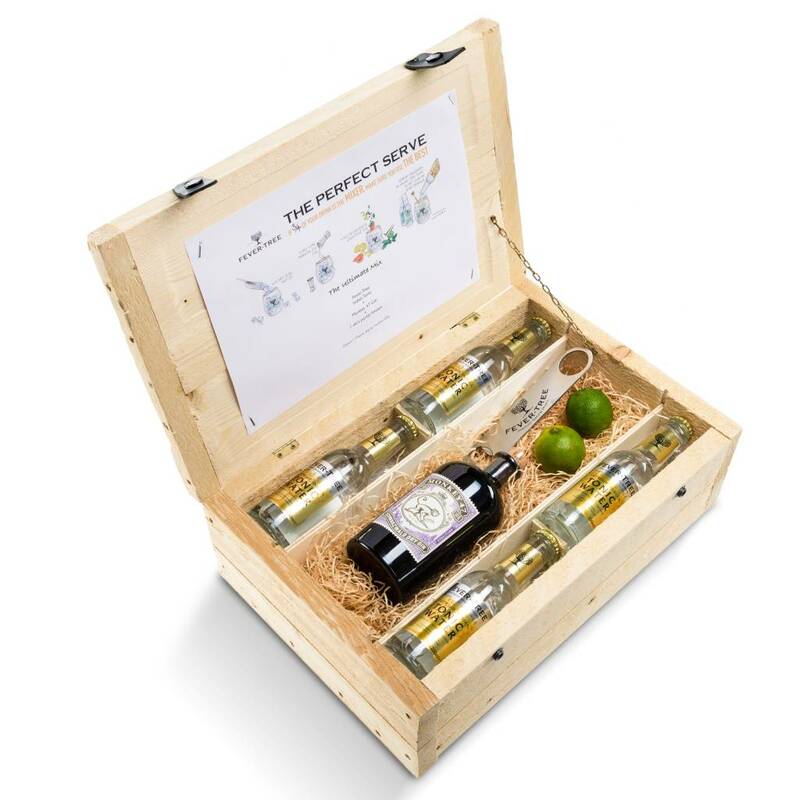 The packages from gintonicbox.nl lend themselves perfectly as promotional gifts. 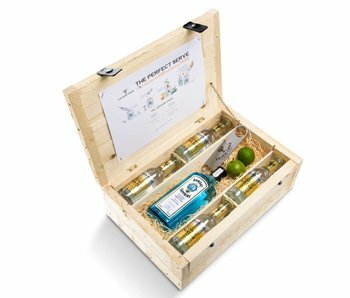 With Monkey 47 Gin you also give a gift with a story. 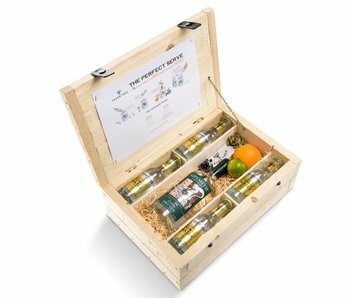 Our original gifts are packaged in beautiful, handmade wooden boxes, making the birthday present or promotional gift also allure.